We thank the Co-Chairs for convening the 3 meetings of the Intergovernmental Negotiations on Security Council Reform (IGN). 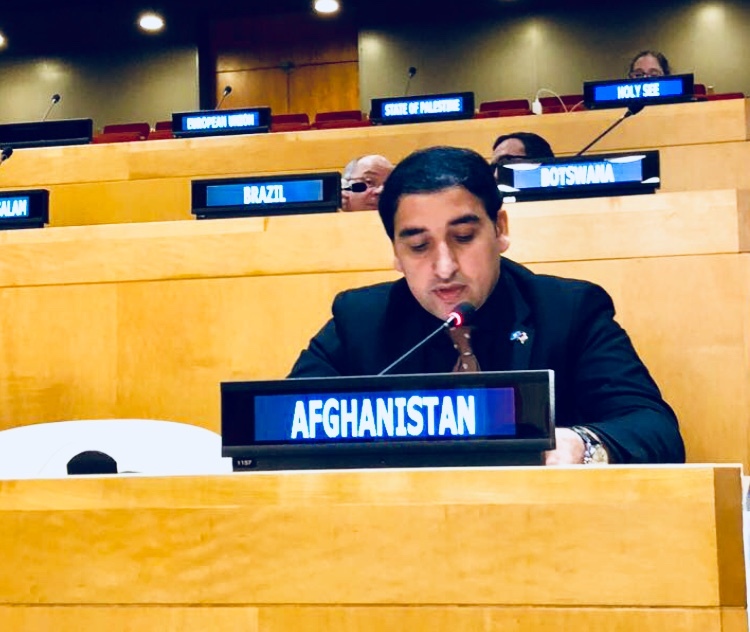 We commend your efforts in leading this important process and welcome, in this regard, your presentation of the “Revised Elements of Commonality and Issues for Further Consideration,” which builds on discussions and input provided by member-states during our two previous meetings. We believe the document marks a step forward for a more productive and results-oriented discussions to advance the crucially important objective of achieving a more effective, transparent and representative Security Council: a strategic imperative for overcoming pressing challenges of our time in relation to international peace and security. We hope this more constructive and harmonized approach will be sustained in the way forward, which in our view, is essential for achieving the goal at hand. We welcome the fact that the revised document incorporates key proposals and the common position of the African Group and Small Island Developing States (SIDS) for the first time. Paragraph 6(J) is a noteworthy addition, reflecting proposals from member-states and we believe it is rightly placed under issues for further consideration. This, in our perspective, will factor positively in our overall discussions. Having said, we too share the view that the inclusion of attribution in the iteration of paper will benefit greater clarity, “a level playing field” and also reinforce the principles of transparency and openness which remain the foundation for any progress in our collective endeavor. Looking forward, we hope that existing gaps, if any, in relation to specific proposals under any section of Issues be covered and addressed in the next iteration. This will only be possible if relevant sponsors of any remaining proposals present their views so that the next document is even more comprehensive and incorporates all remaining issues, if any. On that note, we consider recent decisions by the Co-Chairs since our previous meetings to be important developments towards conducting “text-based negotiations,” which remains the surest way to ensure consensus and convergence of positions on all key issues. This viewpoint is increasingly shared by the absolute majority of member-States and we hope our discussions today, tomorrow and in the way forward progress further in that trajectory. I will conclude by highlighting what we have asserted in previous discussions: that our efforts in this important process should be guided by a clear recognition of the many daunting challenges that threaten international peace and security, and in that regard, the imperative of achieving a more effective Security Council.